Cannabidiol (CBD) has steadily risen in popularity worldwide as an effective treatment for common ailments like arthritis, chronic pain, depression, seizures, insomnia, and a host of other conditions. And while there have been an abundance of CBD research studies using animal models, those studies have primarily focused on answering questions related to the use of CBD in humans. Despite this lack of official and targeted research, pet owners are increasingly seeking out CBD for their furry family members. In a survey conducted this year by the Veterinary Information Network, an online community of veterinarians, nearly two-thirds of survey respondents said they were asked about cannabis by their patients at least once a month. Fueled mainly by anecdotal reports, people are turning to CBD to help manage pain, arthritis, seizures and other health problems in their pets. And a growing crop of CBD products marketed for pets - including tinctures, capsules and chew treats - has burst onto the market to meet the consumer demand. Fortunately, researchers are beginning to turn their attention to the efficacy of CBD as a treatment for various pet ailments. Currently, the Canine Health Foundation is sponsoring a large study conducted by Colorado State University is undertaking to determine the Efficacy of Cannabidiol (CBD) for the treatment of Canine Epilepsy. "Epilepsy is the most common neurologic condition in dogs. Approximately 20-30% of dogs receiving standard therapy remain uncontrolled for their seizures. Additionally, the side effects of the antiepileptic drugs (AED) are often unacceptable. Thus, there is a need for an AED that is efficacious with minimal side effects. Cannabidiol (CBD), a prominent non-psychotropic component of the Cannabis sativa plant, has been shown to have anti-convulsant properties. While CBD offers promise as a treatment for canine epilepsy, controlled studies are needed to prove its effectiveness. In this randomized, double-blinded, placebo-controlled, crossover clinical trial, client-owned dogs with uncontrolled epilepsy will be enrolled following a full seizure evaluation, including bloodwork and magnetic resonance imaging. The canine patients will first receive either a placebo or CBD in addition to their standard AED protocol and then the opposite drug in this crossover designed study. Seizure frequency and medication side effects will be monitored by owners using a seizure log and questionnaire. Regular CBD plasma concentrations, routine bloodwork and serial physical examinations will be monitored by the investigator. The primary goal of the study is to determine the efficacy of CBD in the treatment of canine epilepsy. 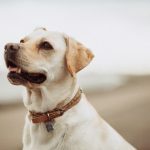 If CBD is effective in decreasing seizure frequency, it has the potential to improve the quality and length of life for dogs with uncontrolled epilepsy, and add a much-needed tool for veterinarians in the treatment of canine epilepsy." In addition to the Colorado State University study, several additional studies are ongoing and will provide much clearer guidance on the efficacy of CBD in treating pets. In the meantime, proceed cautiously and closely monitor the CBD dosages you've giving your pets, and more important, their response. PreviousPrevious post:Can CBD help you quit smoking? What’s the difference between CBD and marijuana? CBD treatment for insomnia and other sleep disorders. Can CBD relieve arthritis pain? Can CBD help relieve chronic pain?